Making a small investment now in the right water solutions for your property will also ensure you’re better prepared for the inevitable dry spells that we’ll see again in the near future. 2015 was another warm year in Brisbane—especially over the last three months as we all felt the impact of a strong El Niño. In fact, it was Australia’s fifth-warmest year on record, with mean temperatures almost a degree above average. And while we usually get a reprieve from the heat and dryness with a few summer downpours, our rainfall was also below average all year. Queensland has had poor rainfall over our wet seasons for three years in a row now, so if you’ve been having trouble keeping your gardens and crops well-watered over the summer, it won’t surprise you to know that we’ve also had below-average soil moisture throughout January. Our water storage levels dropped all throughout last year with our poor rainfall, but thankfully, there’s good news on the way: El Niño is showing a gradual decline, and we could be back close to our averages by the middle of the year. 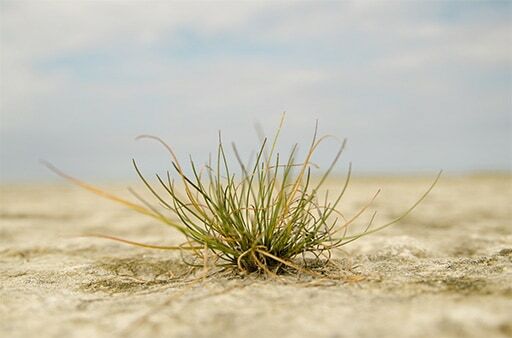 While that’s certainly good news for Brisbane’s dry earth and struggling plants, there are a few things you can do to take advantage of the good rainfall we’re expecting in the middle of the year. While Brisbane normally sees less rain in Autumn than in the warm seasons, long-range forecasts are predicting our rainfall to move above average from April onwards. There’s going to be a rough patch before that though, with March expected to deliver rainfall well below average—which isn’t great news for our Autumn planting. If you haven’t been doing it already, adding fertiliser and mulching your garden will help to maintain moisture and nutrients in the soil, especially if you use ones with good volumes of trace elements. But if you’re going to manage to keep your gardens greener beyond a very dry March, you should definitely consider water storage, and spend some time thinking about how to replenish and improve the moisture penetration and retention in your soil before your Autumn planting. The availability of water is a long-term concern for Brisbane residents, whether you’re sowing new crops, or just doing your routine Autumn garden maintenance. 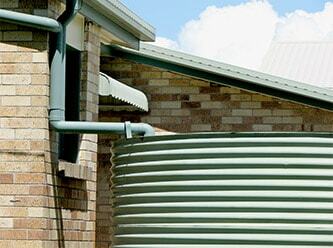 For a long-term water solution for protecting your property, plants, and animals against the unpredictable Brisbane weather, water tanks are a great option. Gleam O’Dawn recommend and stock the highest quality water tanks and accessories available in Australia. Water tanks can help you make the best of the rainfall we’re expecting from April onwards. Autumn yard work in Brisbane—especially on acreage and rural properties—should be beginning very soon,and stored water is a great option to help you maintain your gardens and lawns throughout the dry patch until the rains set in. If you don’t already have a water tank on your property, now is a good time to get one. It could be just the thing to get you through the dryness of early Autumn this year, and it’ll be filled and ready for use within a couple of months to safeguard you against the periods of drought that will inevitably follow the heavy rain we’re expecting after April. A stable water supply will keep your property perennially lush and fruitful—no matter what weather conditions and water restrictions will be falling on Brisbane in 2016. With the right water tank for your property, you’ll be ready for the long, hot months at the end of the year, with an ample supply of water for irrigating your gardens and lawns. A good water tank won’t just help your yard: it’ll help you in many other ways. You’ll save money on your utility costs. You’ll have access to a reliable supply of water for household uses including drinking, hygiene, laundry and filling up swimming pools. And you’ll be able to ensure your stock animals, poultry and pets are hydrated throughout the dry spells. Over time, a good water tank could save you a lot of money, a lot of stock, and a lot of work hours—so it’s an investment worthy of good consideration. You need to choose the right type and size of pump to maintain the delivery and pressure of water you need for your home or property. There are options for both traditional and electronic pressure units. You also need the right pipe varieties, pressures, and fittings to best move the water from where it’s collected in your tank, into your home or other parts of your property. Most tank accessories including inlet strainers, overflows and outlets are standard inclusions with the product. But there’s a range of useful extra accessories available, including protective covers to prevent contaminants, and filters for pathogens and additives that purify the water supply to households. If you’re concerned about how a water tank will look on your property, you might be surprised to know they’re available in a range of colours and styles, so you’ll be certain to find one that will blend in with or complement your home. Some of the reputable manufacturers who supply to us include Rapid Plas, Clark, Bushmans, Team Poly, whose products are made from virgin grade materials that are food and potable water safe, comply with stringent Australian quality standards and are guaranteed pro rata for 10 years. And if you’re concerned about getting your new tank to your property, don’t worry—we’ve got you covered: delivery to your site is usually completely covered in the purchase price. Contact us or drop into our store,and our friendly staff will be happy to help you with informed advice on the installation, accessories and maintenance you need to get the right water tank for your property. Get some professional advice from the team at Gleam O Dawn about the right type and size of tank for your property, to ensure that you’re getting the best value for money, and the best use out of your unit.